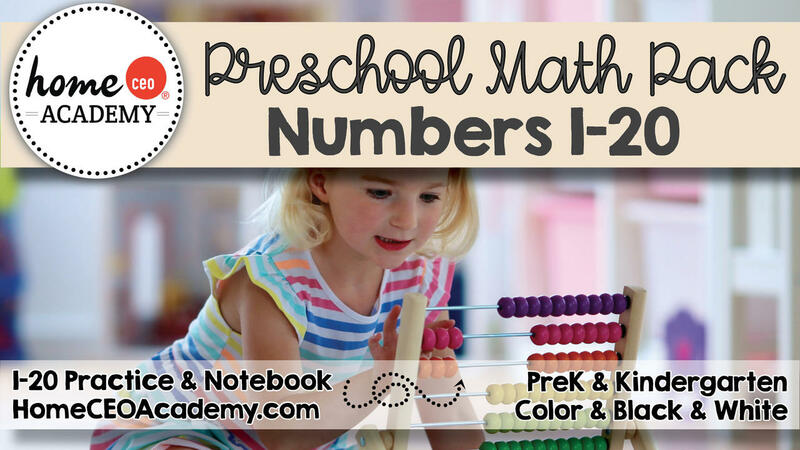 Looking for a way to introduce or review numbers in a simple, fun and interactive way with your preschool or kindergarten students? This printable math pack is your go-to solution. It's designed for the preschooler in mind - no reading skills are required to engage with these activities. In this Preschool Math Pack, you'll receive both practice math worksheets as well as everything you need to make an interactive "My First Math Notebook" to learn numbers 1-20. You and your students will complete the journal over the course of several weeks and the final journal is over 100 pages. Your students will enjoy referring back to their journals over and over! You can focus on one number a day or go at your own pace. Each number has four pages to construct in the notebook. 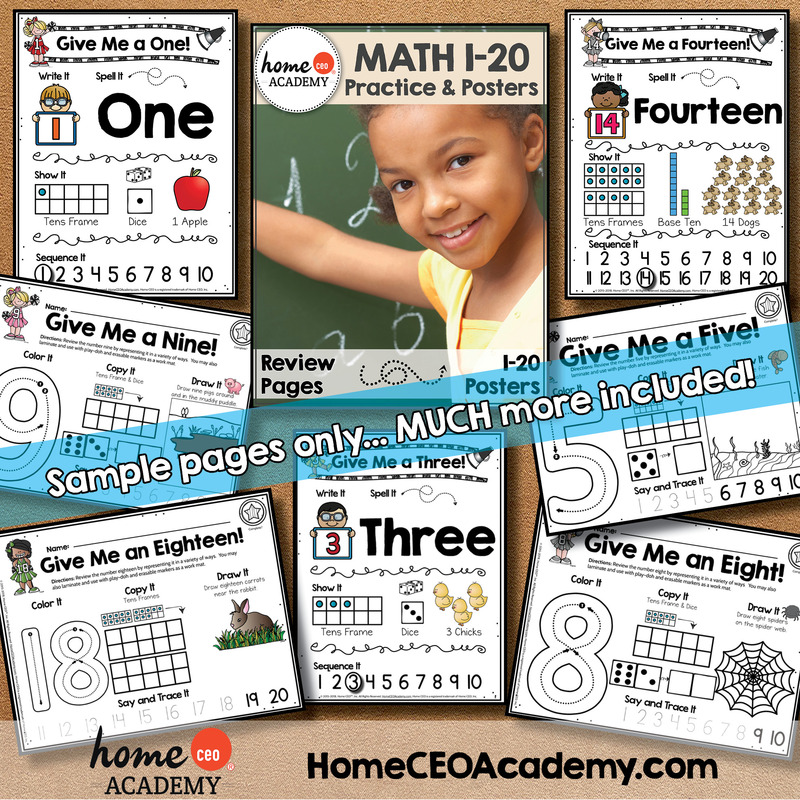 This pack includes a set of math review worksheets for each number as well as two styles of number posters for your classroom decor. 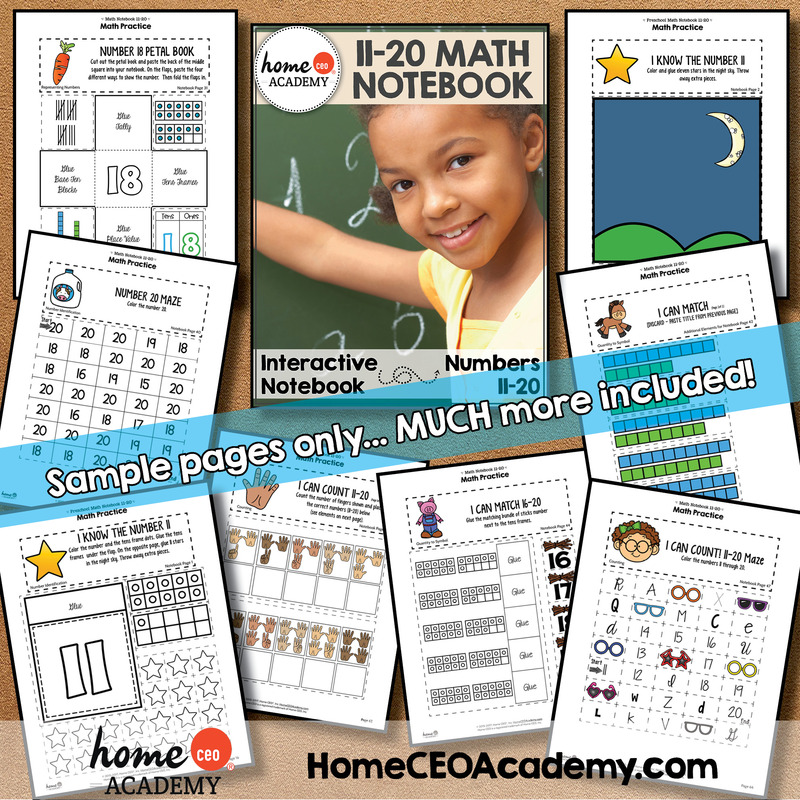 The notebooking portion of the activities in this packet are designed to be cut and pasted into either a spiral bound notebook or a standard composition book (all elements are designed to fit within a composition book). However, they all can be completed "stand alone" as well, depending on your preference. Color and black and white options are available. Please note, if you already own our Age 2-3 Complete Year Curriculum, these pages are already included in your curriculum library. These activities can be used for children of many ages and this product is not labeled as "preschool" on its pages in the event you wish to use it for your kindergarteners. You can use this math pack independently of our full year program. The following preschool math activities are included in this math pack. 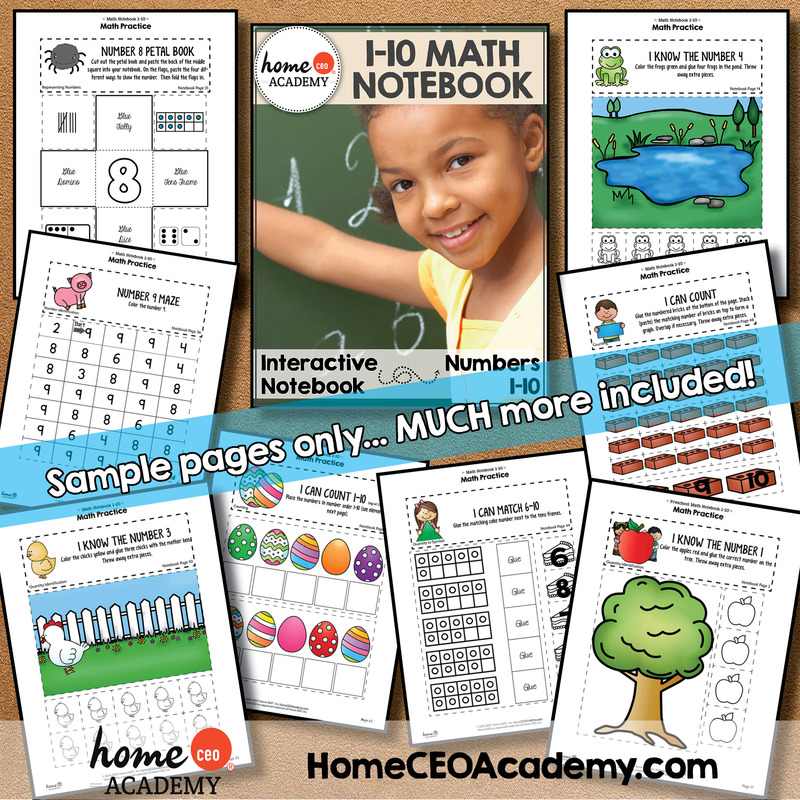 Home CEO Academy is a social enterprise donating all profits to charity. Our "curriculum that cares" is used in 70 countries and all 50 states and supports 20 humanitarian nonprofits in the areas of education, social emotional learning, social justice, health, and more. Since our inception we've donated to 39 organizations, provided five scholarships, built a playground for 415 children in Uganda, supported college road trips for first-generation college freshmen and more. Our data visualization "When Spiderwebs Unite They Can Tie Up a Lion" was a finalist in the 2016 United Nations World Humanitarian Summit Visualize Change Challenge. Home CEO Academy has also consulted with CASEL, the Collaborative for Academic, Social and Emotional Learning, to advocate for the continued advancement of social and emotional learning in schools worldwide.